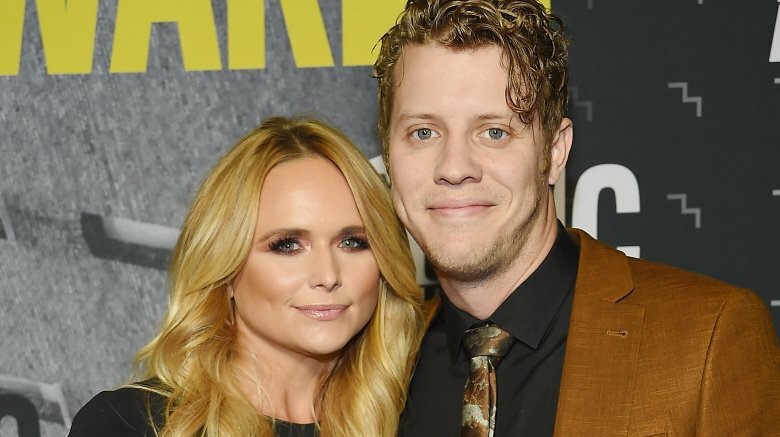 Miranda Lambert and Anderson East have reportedly called it quits. According to an Us Weekly exclusive, published on Saturday, April 7, 2018, the musicians have split after two years of dating. "They have spent a lot of time apart, but potentially could end up back together," a source close to the "Vice" singer told the publication. "The love is still there." At the time of this writing, neither party has publicly commented on the rumored breakup. However, fans have long-suspected that the former couple's romance was over after the two stopped mentioning one another on social media in recent months. Lambert last posted about her former beau in January of this year. Sharing a cute snapshot of herself kissing him on the cheek on Instagram, she wrote in the caption, "About to watch this Hottie @andersoneast on @todayshow! #happyalbumreleaseday #🔥 #Encore." Meanwhile, East hadn't posted about his ex-girlfriend since November 2017. "Happiest of birthdays to my love!" the "All On My Mind" singer wrote on Instagram, captioning a pic of Lambert with her dog. "Thankful for you everyday. @mirandalambert." The country music star, who was previously married to Blake Shelton, further fueled rumors of their split when she hinted that she was newly single during a Knoxville, Tenn. concert just last month. "I make it my mission every single time I step on the stage that no matter what, no matter where I am, I want to make you feel everything you could possibly feel," Lambert told her audience at the time (via Knox News). "I want you to feel sad, mad, happy and nostalgic and really pissed sometimes. That's my favorite." Before launching into her emotional ballad, "Tin Man," she added, "And part of feelings is also heartbreak unfortunately, but fortunately for me, I can use it for my art or whatever. I like to write sad songs. I like to listen to sad songs, so I want to sing y'all one." As Nicki Swift previously reported, Lambert, 34, and East, 29, began dating in December 2015, and had at one point inspired engagement rumors during their relationship.